Since the onset of the Russian intervention two months ago, has Vladimir Putin managed to turn the tide in Syria? The new United Nations peace process for Syria will operate on two tracks with the hope of building the necessary critical mass to stem the violence. With Russia’s military intervention now underway in Syria, questions remain regarding Putin’s goals and targets. Despite its poor prospects for the future, the Syrian regime remains as intransigent as it was on day one of the uprising. Recently expelled from Syria’s parliament, the political future of Qadri Jamil is now uncertain. Despite significant involvement in Syria, Russia's ability to influence the regime of President Bashar al-Assad is more limited than it may appear. Iran has signed a historic agreement regarding its nuclear program which will have subsequent effects on its regional clients, particularly Syria. Previous peace talks have done more to shape political opposition movements and their relationship to the Syrian regime than to produce solutions to Syria's ongoing civil war. Upcoming talks will likely be more of the same. Having already coaxed the Syrian regime into attending peace talks in Moscow at the end of January, the Kremlin finds itself unable to convince any significant opposition leader to participate. By agreeing to the Moscow talks, the Syrian regime is portraying itself as more flexible than the opposition, at a time when the international community has lost patience with the intransigence on both sides. The chances of success for the much-discussed Russian initiative to end the war in Syria seem slim at best—because Moscow has called a peace meeting with only one of the warring parties in attendance. 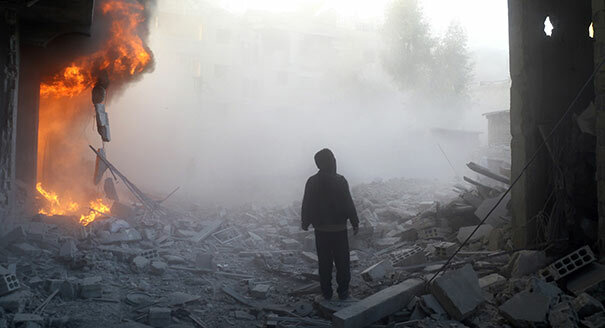 In recent months, there has been a flurry of diplomatic movement in the Syrian conflict, as Russia and Iran, the two main allies of Bashar al-Assad, are trying to seize the initiative and pave the way for a new political deal.